“How much should I charge for coaching?” is a question I get every week. Here are my best answers. If you charge (as of 2019) $25 or less, you are working for less than minimum wage. When you take out expenses and the time it takes to manage a coaching practice, it is probably even worse. You are likely losing money. To get your hair cut (at least for women) by a professional cost a minimum of $30 and probably much more. People pay the price to get the result they want. A coaching session should be considered at least as valuable. It is possible to charge too much. I did for a while. How do you know? For me, it was easy. I was not getting any new clients. The rate was either too high or the value wasn’t being communicated well, most likely it was the latter. If you’re just starting out, you may be afraid that people won’t take you serious enough to pay you $75 per session. One way to be sure they don’t take you serious enough is to offer your services for less. If you are a trained, growing, dedicated coach, someone will pay you a good rate to coach them. Soon you will be worth even more. By a varying rate, I mean that the amount you charge changes based on the client or the number of hours purchased. You lower your price for some people. You give them a package deal for more hours. Early on, I made deals. I charged a cheaper rate when clients (and organizations) purchased more hours. What I know now is that had I not charged a cheaper rate, the clients would have paid me the same amount for fewer hours. Same money, less work. In case you’re not good at math, that’s better. Let me tell you a story about a rate that varied. About a year ago, we bought a used crossover vehicle that came with a free one-year subscription to a company that calls the police automatically if you are in an accident. The year was over, and I started seeing $19.99 per month coming out of our checking account. About the third month, I decided it wasn’t worth it anymore. The Company: I’m sorry to hear that you’d like to cancel this life-saving feature. Are you sure you want to cancel? The Company: Ok, what is the main reason you’d like to cancel? The Company: That’s understandable. Let me see if there is anything I can do. Yes sir, I see here that I can authorize a lower payment of $14.99 per month. Would you like to continue at $14.99 per month? The Company: That’s surprising. Ok, let me see what else I might be able to do. Ok, I see here that I can lower your payment to $9.99 per month. Would you like to continue having this life-saving feature on your vehicle for $9.99 per month? The first reduction irritated me. The second reduction made me straight up mad. They were instantly willing to cut their rate in half. This doesn’t make me feel good. This makes me think they were overcharging me from the beginning. This makes me think the service doesn’t really cost them anything so whatever they can get from me is money ahead. 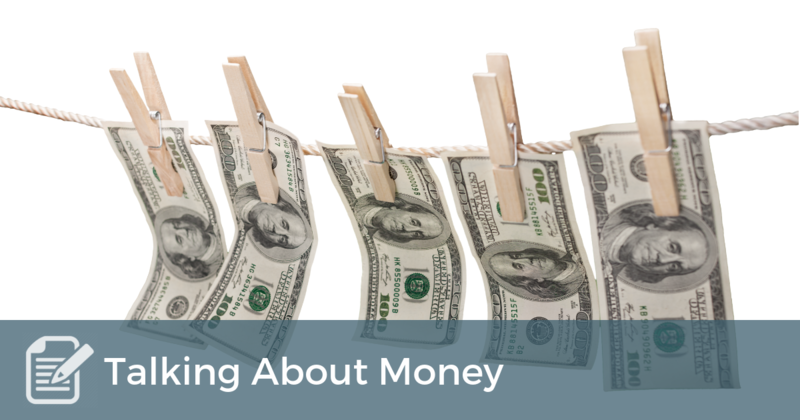 How does that influence how we talk about money with coaching? If you reduce your rate, then it tells the potential client that you just tried to charge more than you need. Lowering your rate doesn’t make people more likely to buy. It makes them trust you less. Even if they hire you, you are hurting your coaching relationship by lowering the trust. Pick a rate and stick to it. These two guidelines create a solid foundation between you and your client. If you’re getting too many rejections, then lower your rate a bit, maybe 10-15%. As you become more experienced, you will also want to raise your rate. Take the stress of talking about money off your shoulders. Set a price and feel confident about it. So glad you are sharing around this topic of how much we should charge for our coaching sessions. In the beginning of my coaching, my prices were determined by how much confidence I had in myself as a coach. As my clients began seeing the value in coaching and how it was impacting their lives, I felt my coaching confidence level rise. Since then, I have raised my coaching session price from 40 to 60 an hour. Thank you again Brian for providing some direction for us coaches and for sharing from your own experience as a coach. Grateful for you.